The "Special Delicious" is a highly modified Delicious Reverb, using 4 power tubes instead of 2. The circuit is the AB763 with the usual 1 & 2 input jacks for the Vibrato channel and has a channel switching foot switch to access the Normal channel. The Vibrato channel runs all 4 6V6 power tubes at 40 watts. When Normal channel is switched on, it also switches off two of the power tubes to run on two 6V6 tubes, like the original Delicious. 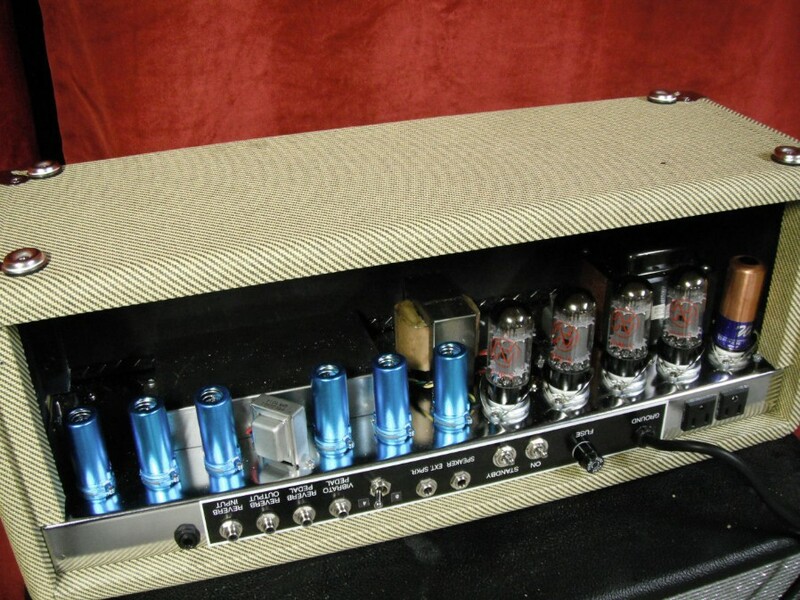 The Vibrato channel runs all 4 6V6 power tubes at 40 watts. When Normal channel is switched on, it also switches off two of the power tubes to run on two 6V6 tubes, like the original Delicious. This also has added MID controls for each channel, replacing the fixed resistors of the Delicious Reverb for more tonal variations. Mix and dwell controls for the reverb. Available in head only format or in combo cabinet with either single 12" Weber 12F150T or two 10" Weber 10F150 speakers. Most other brand speakers available as well. 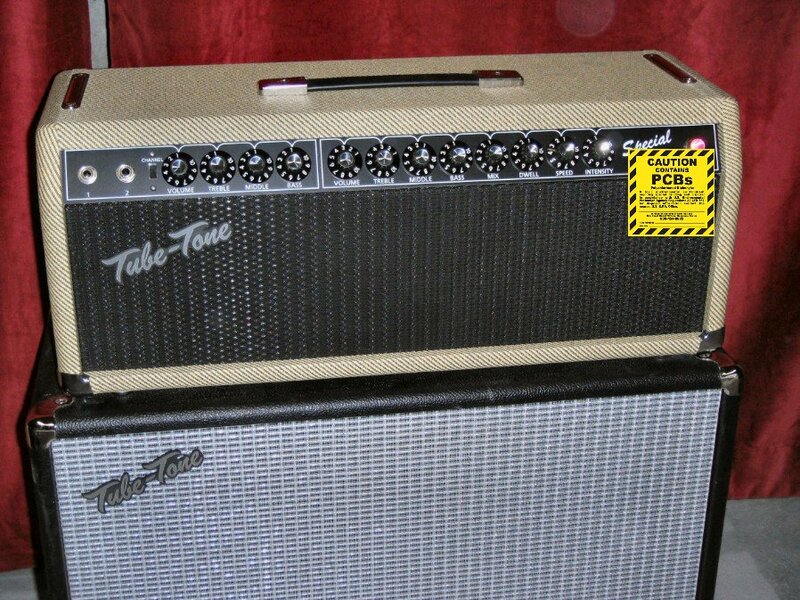 Tube driven reverb and tremolo just as the black face amps of the 60s. IF TIME IS OF THE ESSENCE, PLEASE DON'T ORDER THIS MODEL, AT THIS TIME (July, 2016) . Deposit for Tube-Tone Special Delicious. 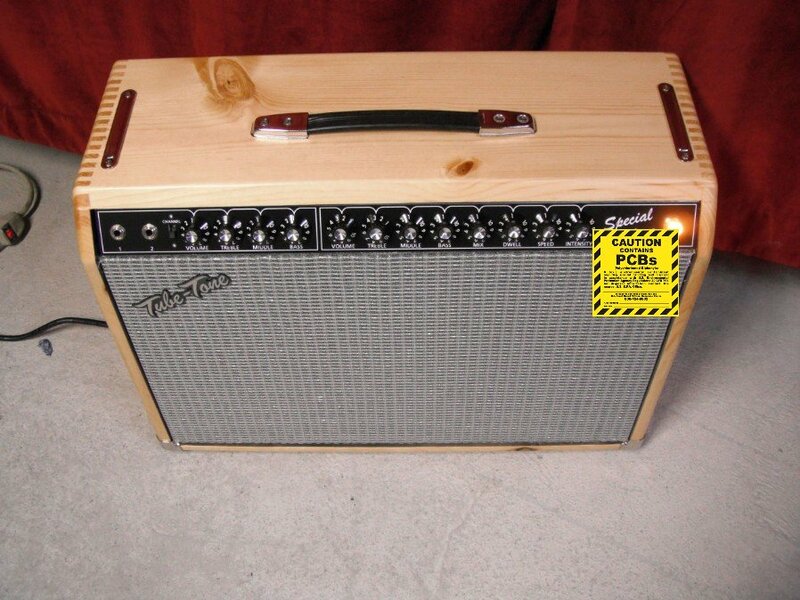 Total price is $1670 for head only, 1x12 combo is $1850, and 2x10 combo is $1950. Shipping in 48 states is $50. Inquire for shipping elseware. Please specify covering and grill cloth, pilot light color, 120V or 230V. California residents, sales tax is added.